Summer is the perfect time for long drives. It is exhilarating this time with the scenic views around you but driving for hours at a stretch can be extremely exhausting too. Driver fatigue is the most common reason behind road accidents. Fatigue can also lead to slower reflexes on the road. If you’re a truck driver, these risks become a permanent part of your life. 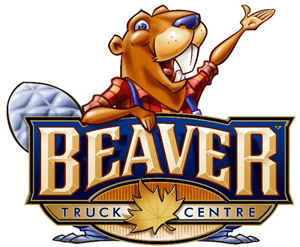 Beaver Trucks takes every care possible to keep you driving on the road safely and quickly with comprehensive services. Below are some of our suggestions to beat driver fatigue. For truck drivers, fatigue comes from more than just driving for hours at a stretch. You need to lift heavy weight. You suffer from a lack of sleep and stress with it. Try to get at least seven hours of sleep before you set off. A good night’s rest ensures you are fresh and vigilant behind the wheel. If you find yourself nodding off, stop the car in a safe place and take a short nap. 30 minutes to an hour of power napping is enough to recharge you for the long haul ahead. Make sure you don’t continue driving with your eyes half-closed. Go easy on your meals. Avoid deeply fried or spicy foods. Skip the calorie-loaded hamburger. Restaurants at stopovers offer an assortment of healthy food and drink options that give you no excuse to binge. Load up on protein, fruits, and vegetables that are not dunked in fat. Have light sandwiches, yogurt, eggs, fruits, wholemeal bread, and salads to sustain energy. Avoid chips and excessive fries. Nuts can fill in for the craving you have between meals. Try not to skip meals. It will bring down your energy level and make you giddy. Have vitamin supplements such as vitamin B and C for energy, good digestion, and immunity. Beverages and energy drinks can help you stay awake, but try not to have more than necessary. Excessive caffeine will keep you awake not just on the road but also at night when it’s time to sleep. If you have an insufficient sleep at night, you will suffer from road fatigue when you drive the next morning. Try to have coffee and tea without excessive sugar, and add low fat milk instead of cream. Have liquids and snacks at regular intervals. Water can help you regulate your body temperature, body pressure, lubricate your joints and tissues so you drive comfortably. Dehydration can make focusing difficult. While it’s important to stay hydrated, don’t go overboard on drinks. It may get uncomfortable driving with a full bladder. It is extremely important to workout to be comfortable driving for long hours without body aches and pains. Go for a run or workout in the morning before you set out. Stop at intervals to stretch to get your blood circulating. Pull over to inhale fresh air when you feel fatigue hitting you, and walk around a bit before you settle behind the wheel again. Listen to music to stay alert or talk to your companion if you have one. Beaver Trucks is a designated world-class Volvo dealer with a 19,000 sq ft parts warehouse with more than $3 million in inventory and over 100 skilled staff members who are ready to serve your trucking needs. If you drive by our center in Manitoba, you are welcome to stop for a coffee and chat.